Genesys G-Summit Conference took place in Prague on 18th of October and we were present. G-Summit is annual conference and meeting of Genesys partners and customers in the region. 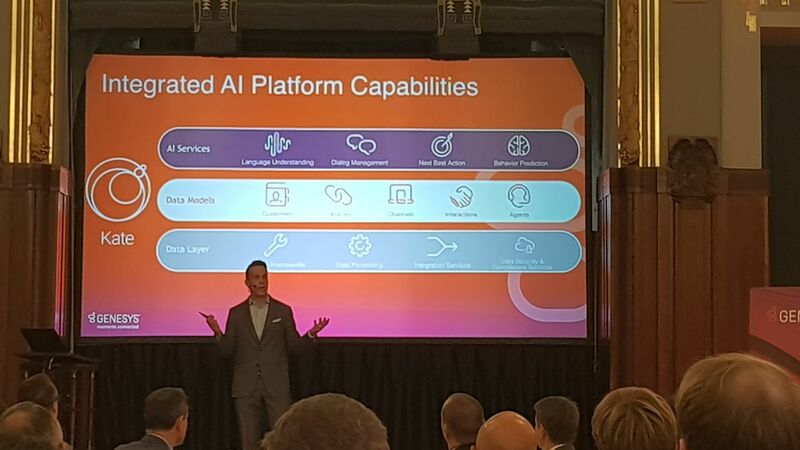 Summit is the place where Genesys presents strategy, direction, road map of their customer experience platforms (Pure Engage, Pure Connect and Pure Cloud). The sessions also include presentation of their new applications and the most significant improvements. 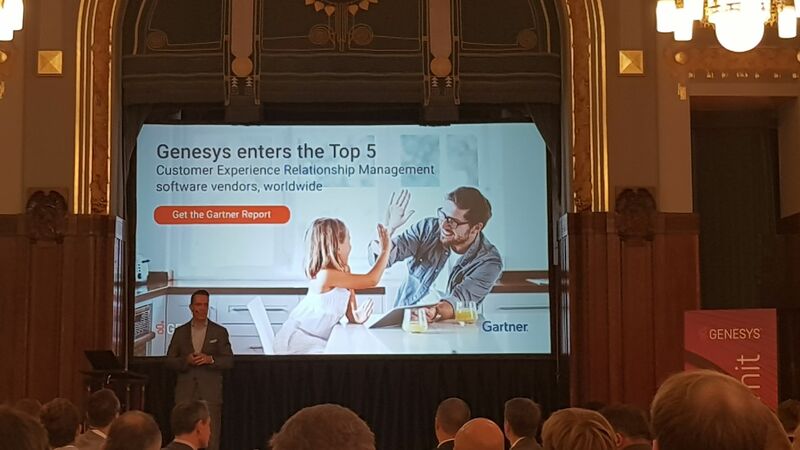 Genesys has announced that they have entered Top 5 customer experience platforms, so they compete with such solutions as Saleforce CRM, Microsoft CRM in the field of CRM solutions. The progress and the most attention are given to KATE – Integrated AI Platform. The artificial intelligence and machine learning are nowadays in all modern communication and user experience platforms, Genesys is not an exception. KATE is blended AI platform providing possibilities to build, integrate custom chatbots, language understanding, predictive routing and behavior. Genesys annually extends its portfolio. Genesys has presented new solution Genesys Intelligent Automation. Genesys Intelligent Automation is a solution that enables organizations to rapidly deploy phone self-service functionality to their customers, including intelligent call steering, for a more efficient and personalized customer experience. Genesys Intelligent Automation provides non-technical users with a high level of control over the management and configuration of the system using a web-based interface. Genesys Intelligent Automation can provide your customers with chat bot-based access to your WebIVR applications.Customers can converse with a bot using natural language to accomplish various business needs, such as making a payment or checking an account balance. Again, Genesys highlighted its Cloud Contact Center – Pure Cloud. Pure Cloud is all-in-one omnichannel cloud platform capturing all interactions data in one place. For more details, please see here.